I am thrilled to have started my third Isaac Asimov Foundation Novel this week. It’s called The Second Foundation and is actually the fourth out of seven in the series. I’ve been spacing out the series because they are so good I don’t want them to end. Apart from being interesting, revealing and well-written, they are loads of guilt-free reading fun. Great for pregnant women or for beach vacations where you might be hungover some of the time. …science-fiction is in fact a commentary on the present, since one of the best ways of understanding what goes on today is to extend it into tomorrow. We now know where we are. 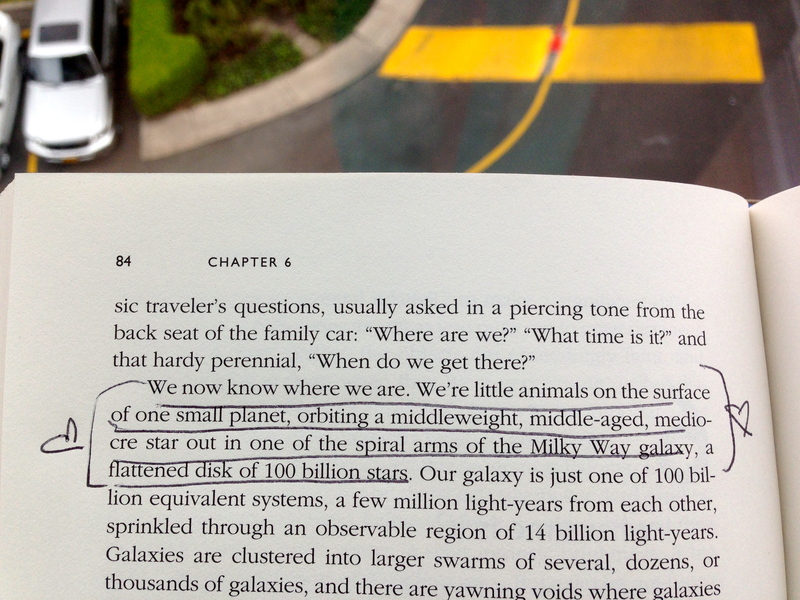 We’re little animals on the surface of one small planet, orbiting a middleweight, middle-aged, mediocre star out in one of the spiral arms of the Milky Way galaxy, a flattened disk of 100 billion stars. To me this is extremely helpful information. It helps put things into perspective and makes it inevitable to enjoy the day. This post is part of my collaboration with Zeteo is Reading. To read more please click here. Start with the first. They are all worth it! Great article! Thank you for the ping back. I am going to look up his Foundation novels…..